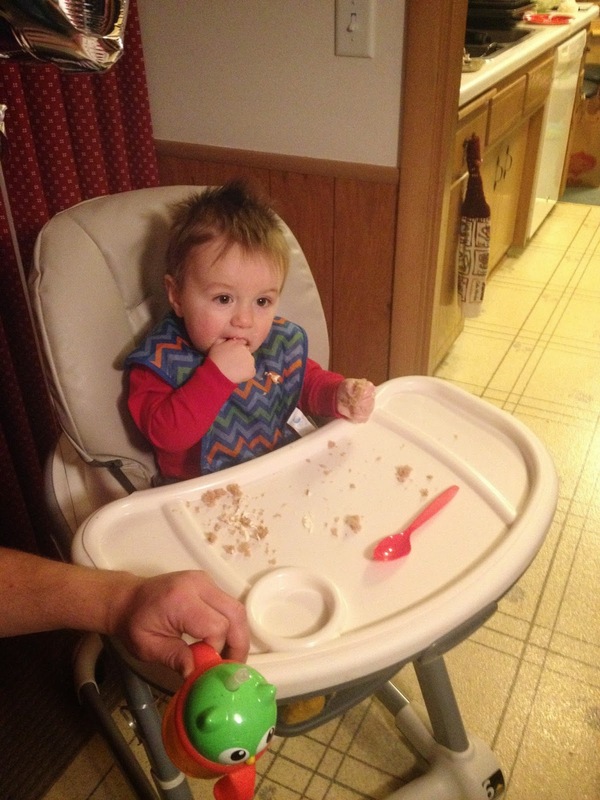 As promised, here is a post all about Oliver's 1st birthday party from this past Sunday! The picture quality isn't great, the indoor lighting and my old as the dinosaurs iPhone didn't play together super well, but you'll get the general idea. We sort of had a Dr. Seuss theme to match his nursery, but beyond that it was just a nice afternoon spent with family and friends. I got him a "One" shirt from Old Navy and I figure, hey, he'll be one all year long so he can wear it until he outgrows it! I was a little worried about how he was going to do as he was fighting naps all day on Sunday, but he managed to get a good afternoon nap in before everyone showed up, so he was in pretty good spirits. He wasn't too sure about being the center of attention with all these people surrounding him, this is the most people we've had in our house since Oktoberfest and for Oktoberfest we could be downstairs and outside, for his birthday party we all kind of crammed into the living room and dining room, but it worked out ok. 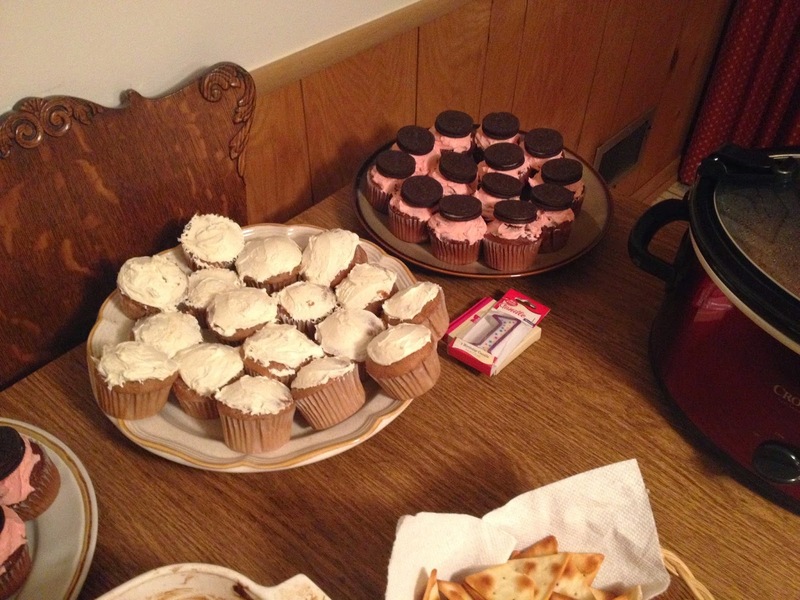 I made two different kinds of cupcakes - chocolate cupcakes with vanilla frosting and an Oreo which I called my "Cat in the Hat" cupcakes. We also made spice cake with cream cheese frosting because Ollie hasn't had many sweets and we thought the spice cake would be gentler on his tummy. 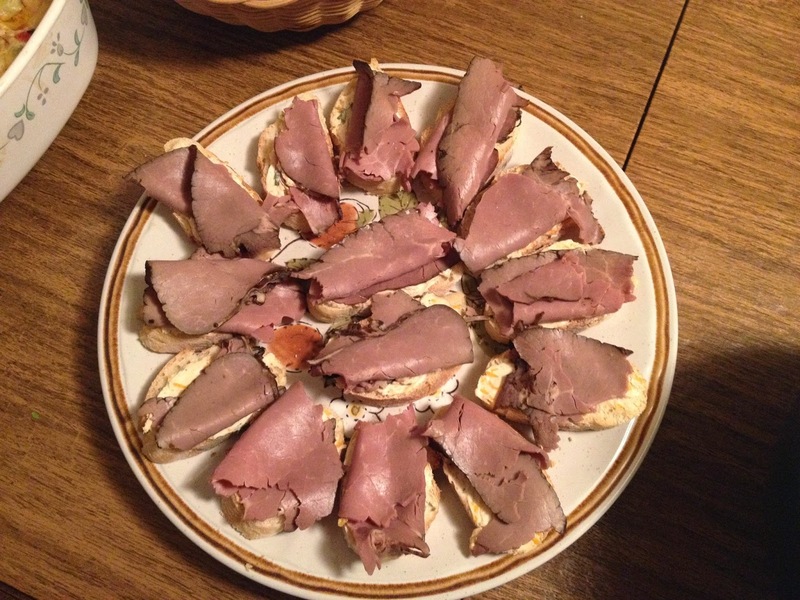 We made a roast beef baguette type appetizer to represent "Roast Beast" from How the Grinch Stole Christmas. Nate seasoned some cream cheese and spread it on the baguette with a piece of roast beef on top - SO yummy. 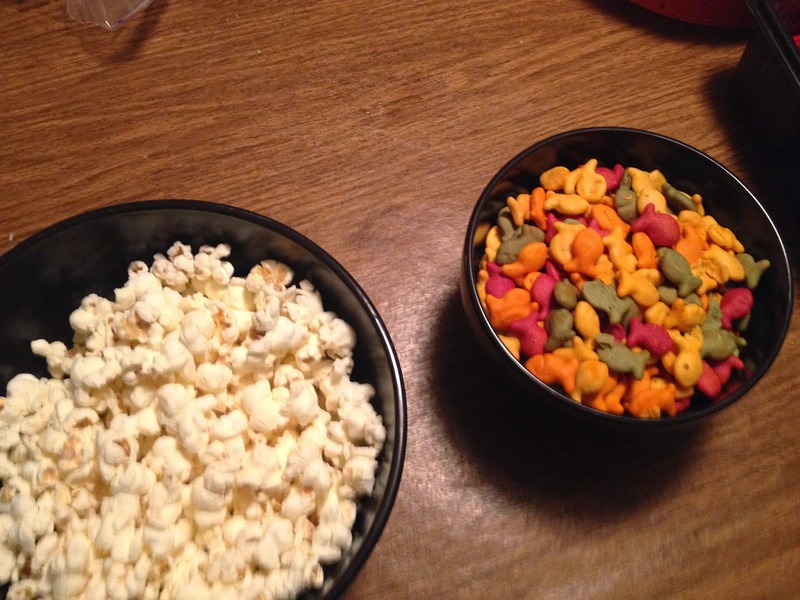 And here we have "Hop on Popcorn" and "One Fish, Two Fish, Red Fish, Goldfish" crackers. Yep, I'm a giant nerd. We also had a roasted red pepper artichoke dip and barbecue meatballs, but I couldn't figure out how to tie those into the theme, but I will say they were yummy as well. Of course we had to have balloons. 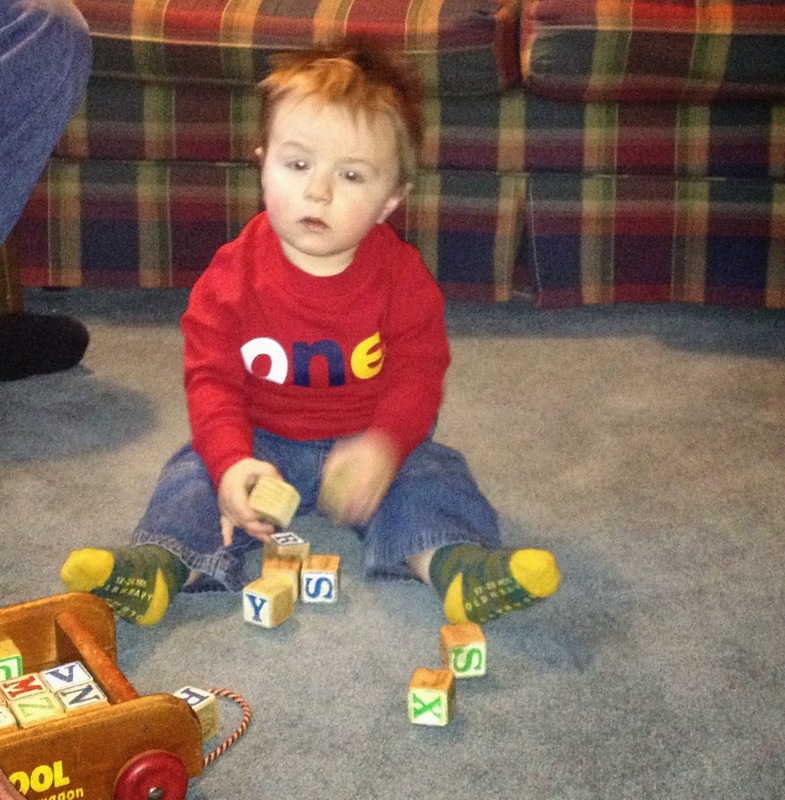 Oliver's sweet auntie Ali bought a ton of red, white and blue balloons and a giant silver "1". 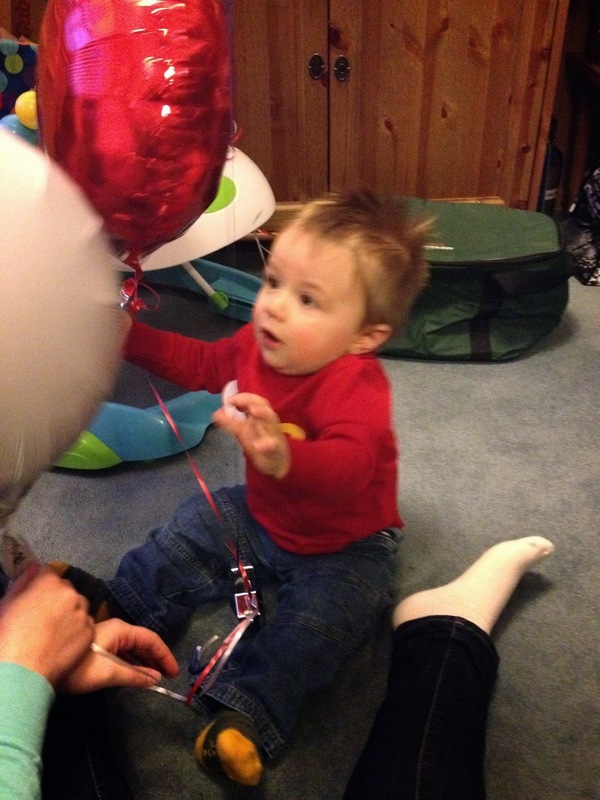 Ollie LOVES balloons, we'll be enjoying them for awhile! He loved his cake. He wasn't too sure at first but then we smashed it up for him a bit and he was all over it. He ate the whole cupcake! After a while though he started whining for other food, we realized he needed some protein to balance all that sugar! 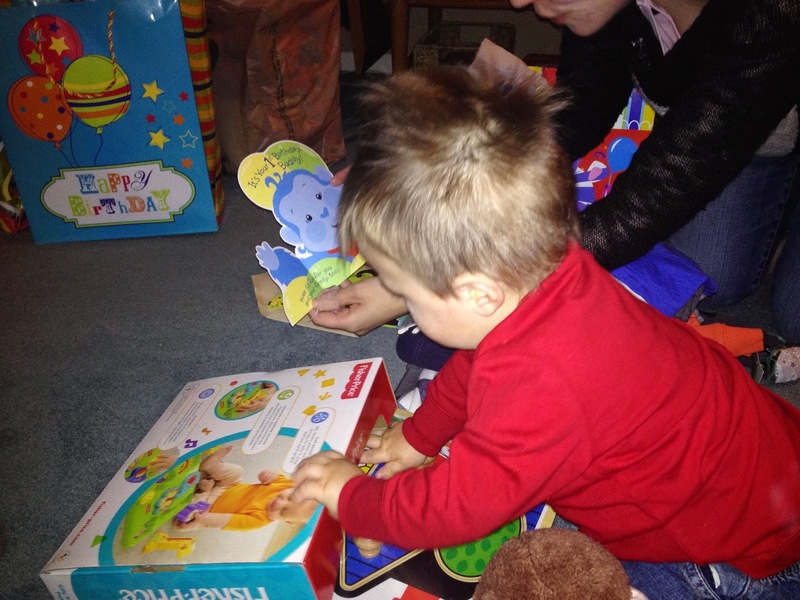 He got tons of fun presents, many new toys that we've been enjoying already, puzzles, clothes and lots and lots of new books. I think mom might be more excited about the new books than Ollie - we have been needing some new material in our rotation, I have the Going to Bed Book memorized, so yeah, new books are good! It was so sweet to see him play with his little friends who are just a little bit older than him. 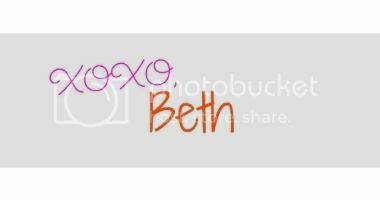 I've mentioned our friend Benny on the blog before. Benny is 15 months old so not too much older than Ollie. 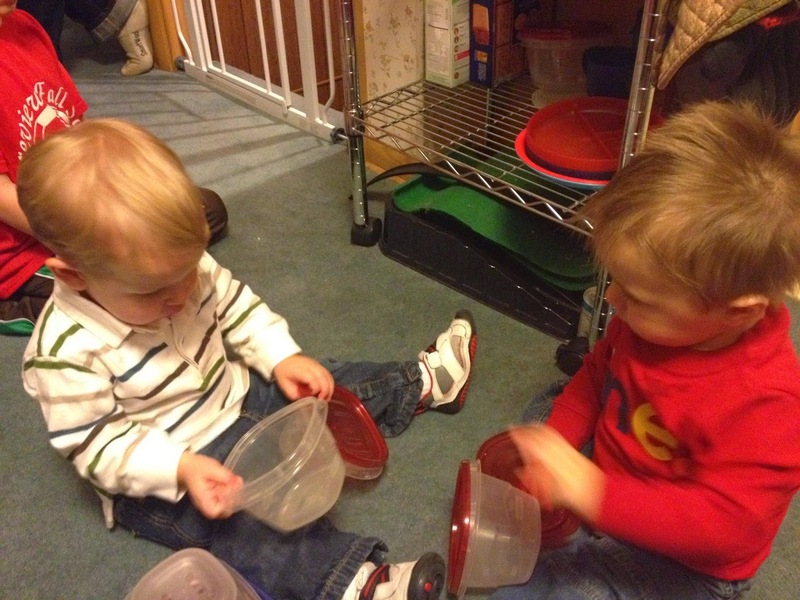 They shared Ollie's Tupperware together, it was pretty cute. 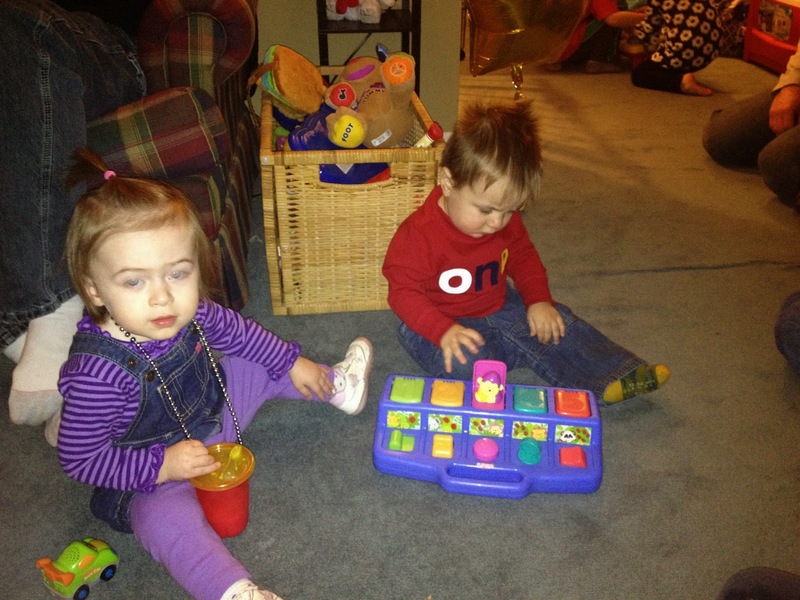 And of course Ollie's little girlfriend Eloise came too, she even dressed up with a necklace for the occasion. For a time Ollie was more interested in Eloise's big sister Gertie, but you know, she's blond and Ollie has a thing for blondes! He still played nice with Miss Eloise too though! 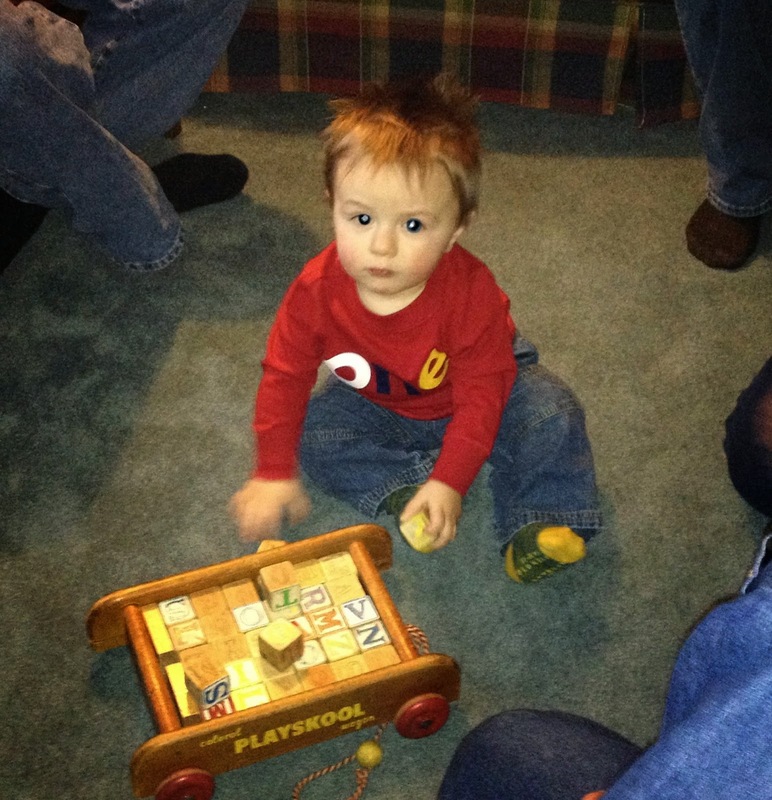 Overall it was a great day and everything I hoped for in his first birthday party. I know he will never remember it, but it was still special for Nate and I and someday we'll tell him all about the family and friends who love him so much and wanted to celebrate his special day with him! I'm relieved the party is over now, I need to step up Christmas prep in high gear! Lots of online shopping to come and possibly some shopping in stores this weekend. It will all get done, it is much easier this year than last year anyway!